The Head IG Heat tennis racket has an oversized 107in2 (690cm2) head and is head heavy, making it very favourable to powerful play. The large head has an amplified sweet spot size which not only increases potential power for every shot but also improves forgiveness on off-centre hits and allows users to strike the ball with more confidence. The frame is very light, weighing 245g (8.6oz), so it is manageable and manoeuvrable. 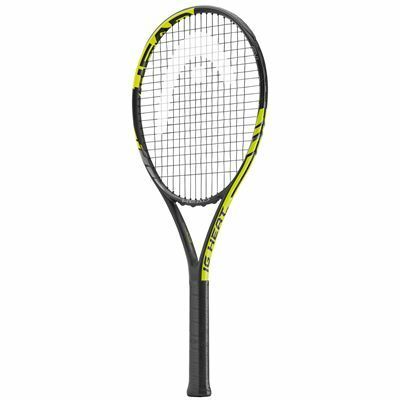 The open 16x19 string pattern helps put more spin behind shots, and the racquet is supplied strung with a synthetic string. The graphite composite frame and shaft are durable and strong and a full racket cover comes with the racket. for submitting product review about Head IG Heat Tennis Racket.